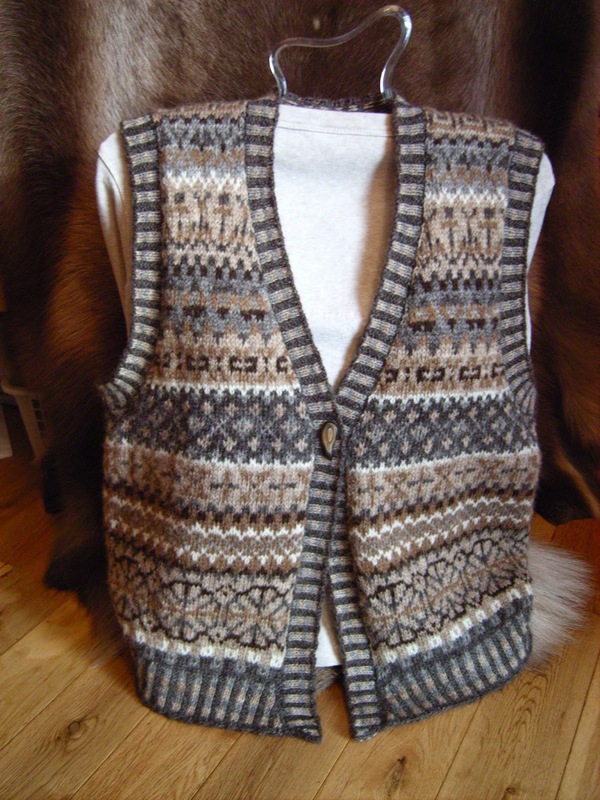 I thought it might be time to catch up on some handspun garments instead of the vararfeldur. 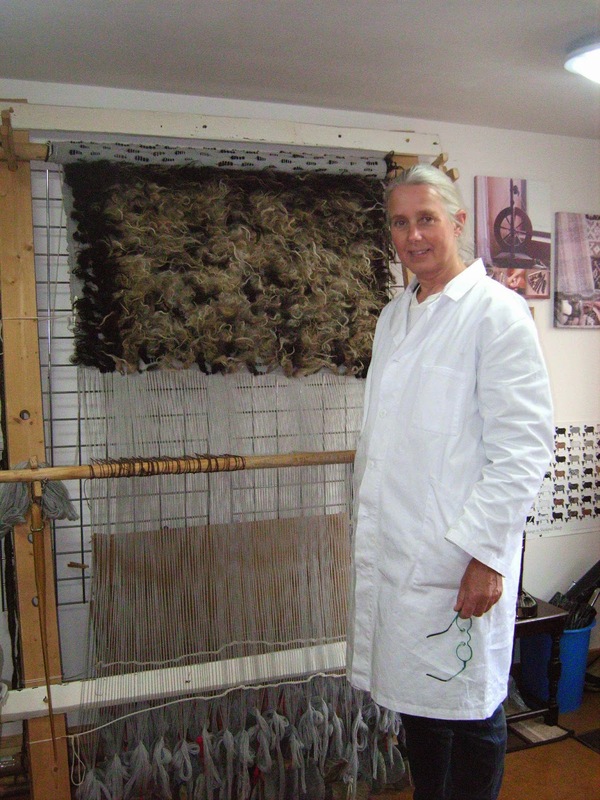 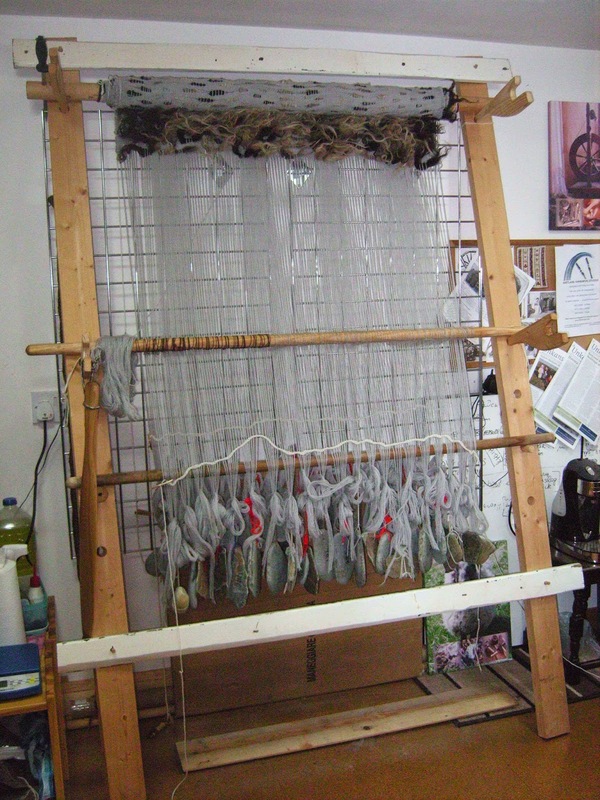 The real work has still been going on as well as the weaving! 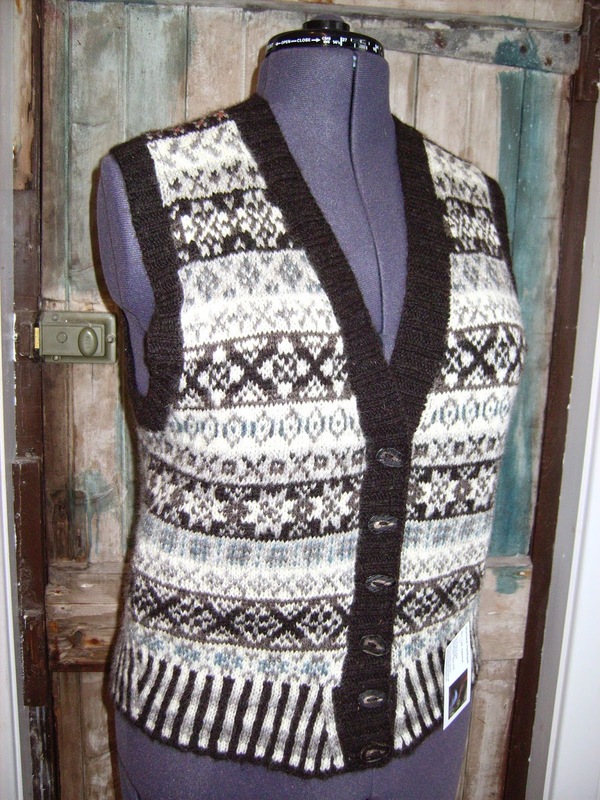 Two Allovers (Fair Isle jumpers) have been finished recently. 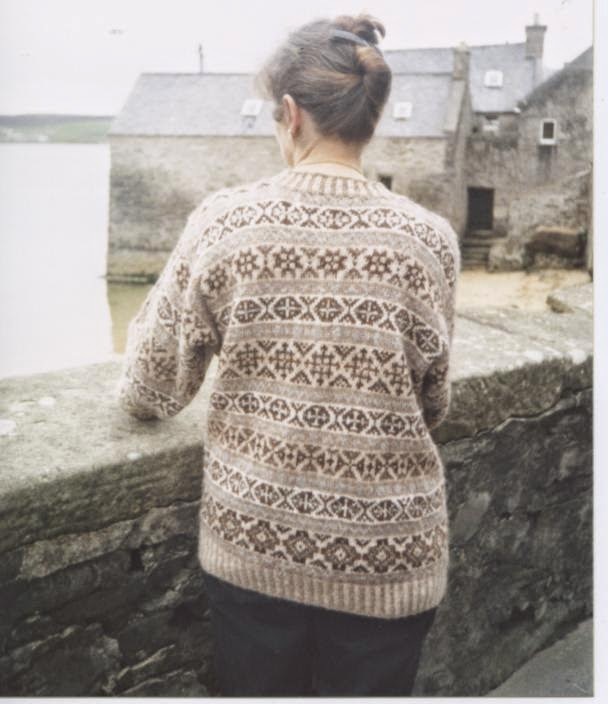 This one, a slipover, in the Mousa design but with madder red and onion yellow in the ribs and a small amount through the Fair Isle. 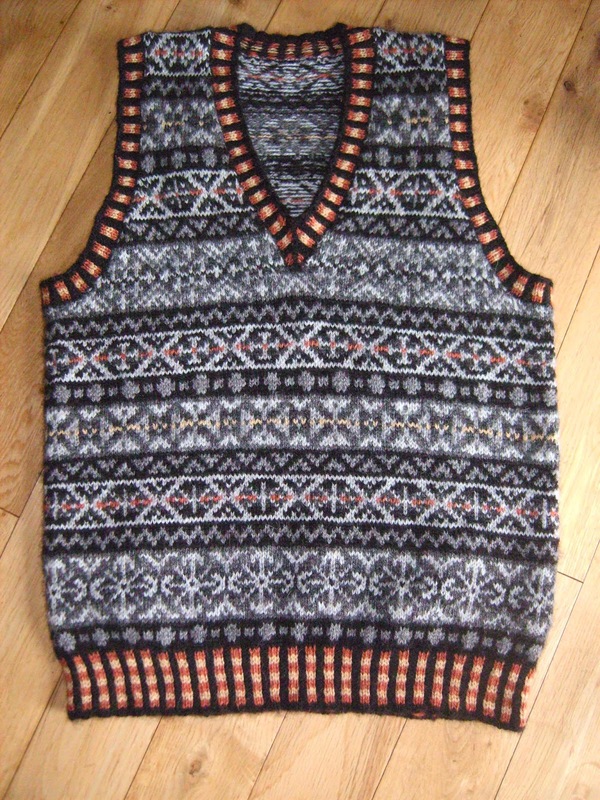 It is a good design just in the black and greys, but with the red and yellow it is that little bit extra special. 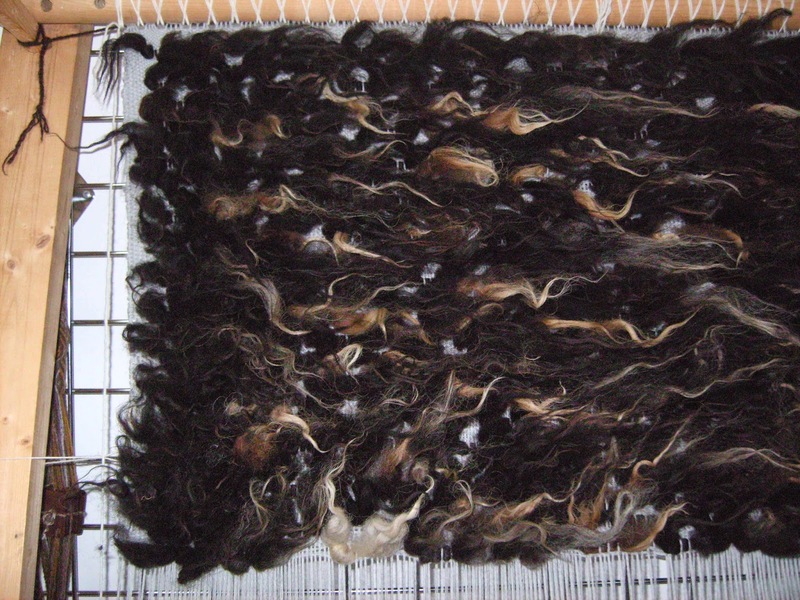 The next Allover is washed and on the jumper board drying, and will be off to its owner tomorrow. 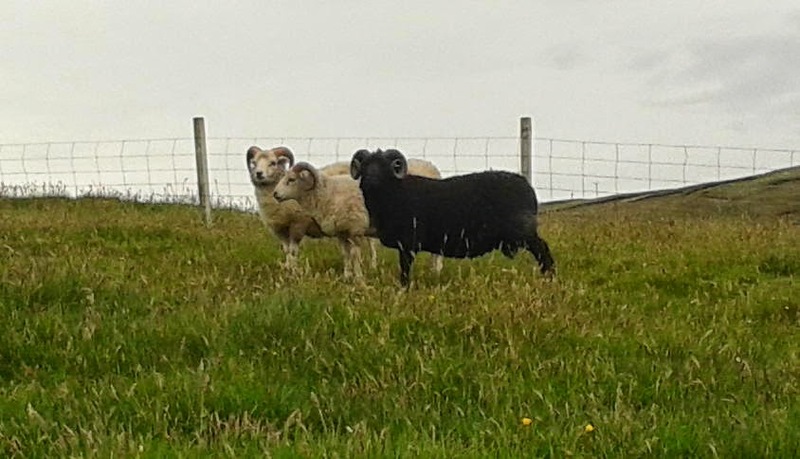 Black and greys again, this one is Neesik - Shetland name for the Porpoise. 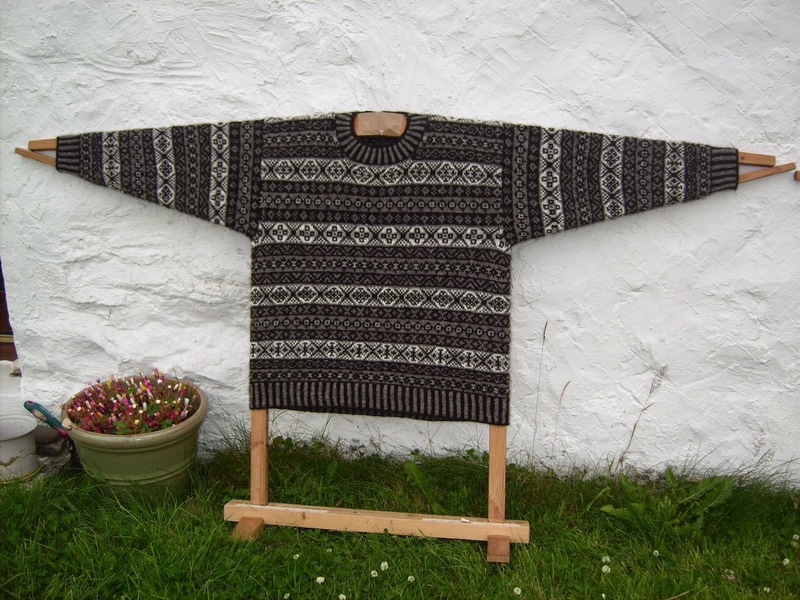 A perfect day for drying jumper outside. 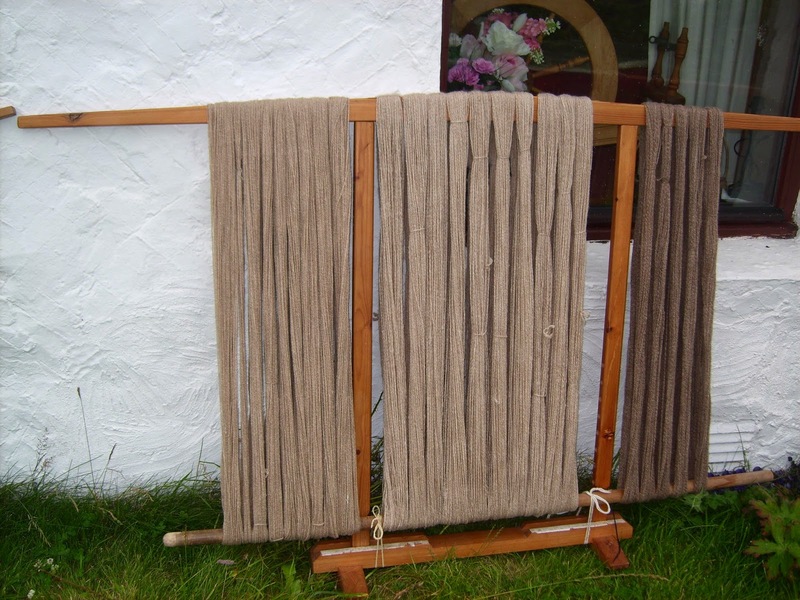 .......3 shades of fawn handspun yarns needed for commissions, and for stock. 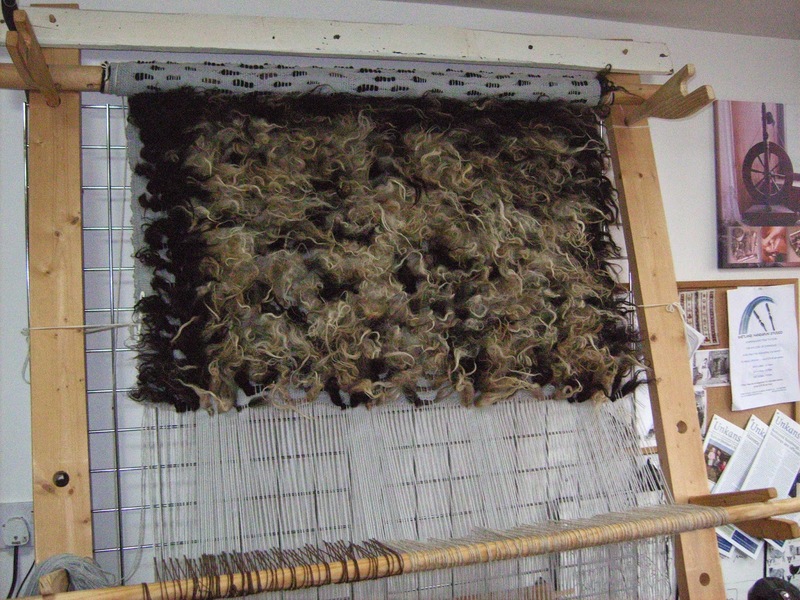 The jumper board is perfect to hang hanks and tension then while they are drying. 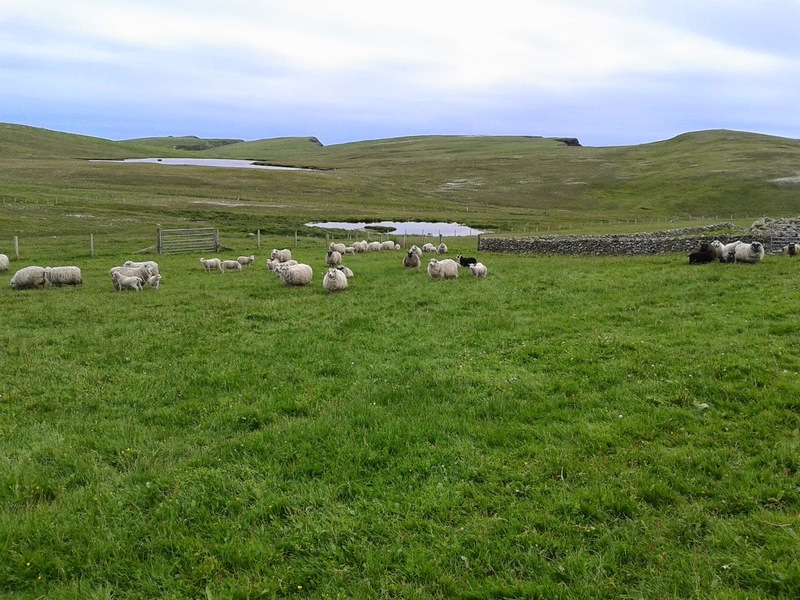 Here are a selection of other designs from Shetland Handspun.